Big names like Beyonce and BBC America use WordPress as their content management system. WordPress is free to use and offers instant access to anyone that wants to start a website. Each user is immediately equipped with a site that is optimised for mobile devices. 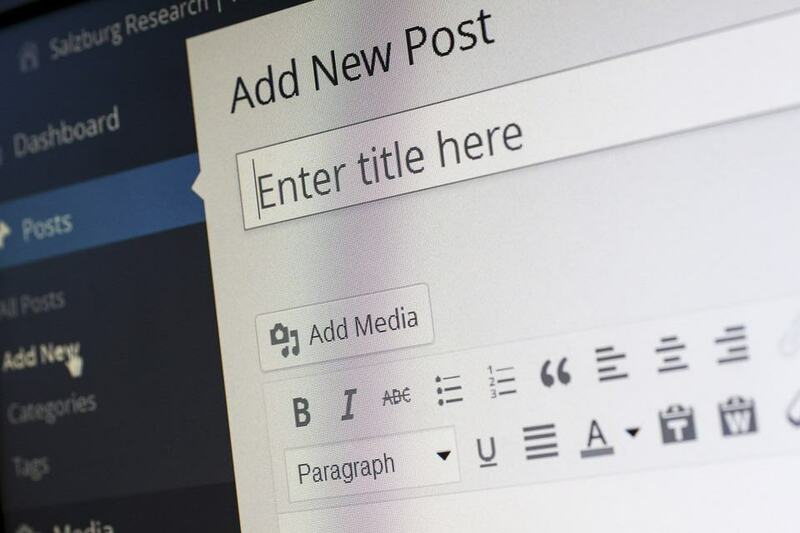 Keep reading to discover some other top benefits of WordPress. You want your target market to find your products the fastest and easiest way possible. The top benefit of having a WordPress site is its discoverability. How well your site can be found will dictate how well it performs. WordPress is easy for search engines to read and index. Each page can have it’s own metadata descriptions. This makes it ideal for optimizing because website crawlers can quickly determine what the site is about. Also, WordPress is always improving which helps it rank well in search engines like Google. You can customize SEO strategies for each page of your website. The use of SEO plugins also expands WordPress capabilities. Another benefit of WordPress is its flexibility. Plugins can help your website grow with your business. Entrepreneurs wear many hats. When your business becomes too much for you to do alone, you can allow others access to your site. For example, if you are hiring bloggers, you can set the level of access you want them to have. WordPress uses a popular programming language. Hiring a programmer can further expand your site if plugins don’t offer the functions you need. Flexibility wouldn’t be possible without all the ways you can customize your website. From the font color to the background to the sales platform, it’s all open to change. You can really get under the hood and make the ‘muscle car’ of your dreams. You can update your website at a moment’s notice to capitalize on seasons and market trends. If you prefer to go back to a previous version, back it up. Regularly backing up your website is just plain-ole good practice. If you don’t fancy yourself a designer or don’t have the time, hire someone to do it for you. The world of WordPress features plenty of premium content to get everything you need from the platform. The community around WordPress makes the process from signup to launch seamless. WordPress sites make up 30% of all sites on the web. These make up a community with similar goals and issues to your own. If anything comes up, this multitude will help you back on your feet in no time. A huge bonus of this content management system is its ease of access. You don’t have to be a graphic artist or a developer to have a successful website. You can start a blog or a store without knowing a lick of programming language. As mentioned before, the community is available for any roadblock you may come across. WordPress is a system that works if you work it. The benefits of WordPress are open to all who want to set up a business website or blog. The flexibility it offers allows you to get started in a short time and get found by your audience. When WordPress was in its early days, it gained a reputation for low security. Since then, they have made major upgrades. While it’s no longer true, it’s important to keep in mind its popularity. When a system gets as popular as WordPress, it can be vulnerable to hackers. The code vulnerabilities are also popularised leaving your site exposed. Using a managed care plan can help you avoid this threat. Contact us to set your website off on the right foot.